QAxis® is a stage automation software product from AVW Controls Ltd.
QAxis allows us to offer off the shelf Omron PLC hardware to be used with our software. Join the growing list of QAxis users! 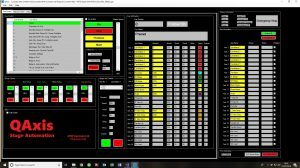 The QAxis interface allows the operator to see all relevant cue, axis, group and edit information at the same time and allows very quick change from the running environment to the editing environment. 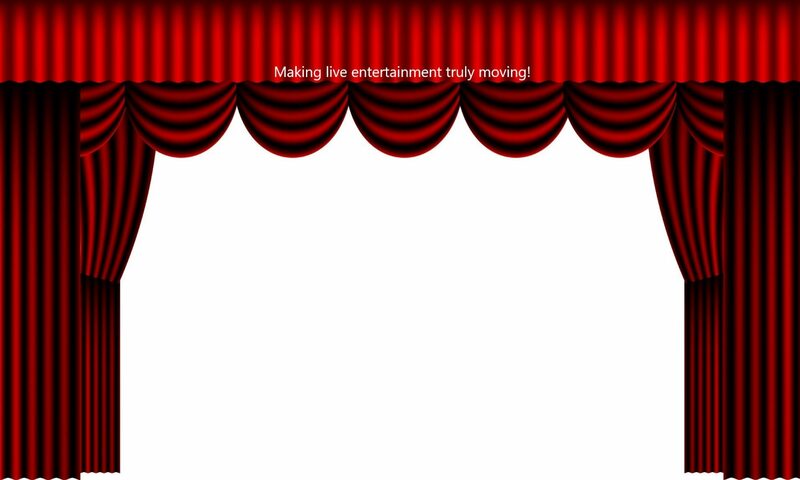 After years of experience with Impressario, AVW have picked up on the various requests and suggestions that have come from the real theatre world and have implemented them in our new QAxis software. Six groups programmable on a cue by cue basis. Single axis operation with an Omron CP1L PLC. Full multi-axis operation up to 24 axis with an Omron CJ2M PLC. Industry standard +/-10V analogue or pulse train output . Industry standard 5V TTL/24V HTL Incremental encoders or SSI Absolute Encoder input. As many digital inputs or outputs as required by the application. Many manual control options including touchscreen, push buttons, joysticks. Custom cue field which can be used on a cue by cue basis to mean anything required, e.g. motor patching. Fully CE Machinery Directive compliant . AVW were already using Omron Programmable Logic Controllers (PLC) for their bespoke control systems and so it made sense to use Omron PLCs as the main hardware. QAxis uses the proprietary Omron Host Link Protocol to communicate with the PLCs. In addition, the flexibility offered by using standard off-the-shelf Omron PLC hardware means that the hardware can be as complex or as simple as it needs to be to get the job done. The QAxis HMI software has been written using Microsoft’s latest VB.Net (2017 VB 15.0) and uses object-orientated programming techniques to write, save, edit and read cue and axis data. This makes for a very efficient processing environment.